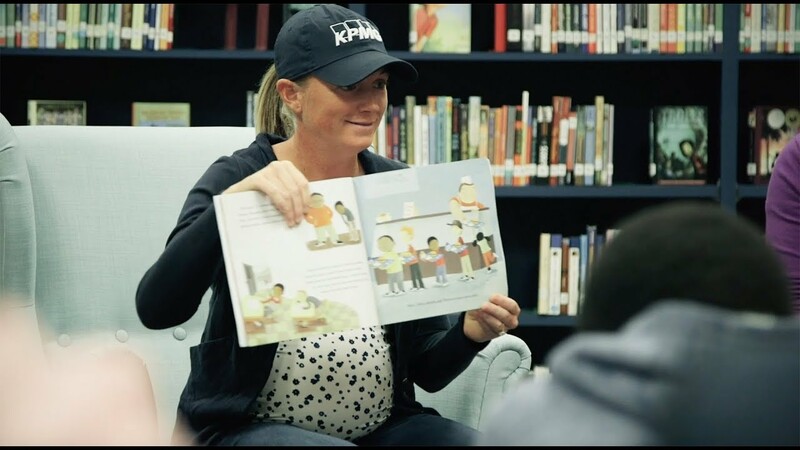 As one of the world’s best golfers, LPGA champion and KPMG brand ambassador Stacy Lewis knows it’s important to set a positive example both on and off the course. "We're role models, whether we want to be or not," she says. So when Hurricane Harvey devastated her hometown of Houston, Lewis donated $195,000 – 100 percent of her tournament winnings at the 2018 Cambia Portland Classic – to hurricane relief efforts. Inspired by Stacy’s generosity, KPMG matched her donation, bringing the total donation to $390,000. It’s just one of the ways she gives back. Lewis is a passionate advocate for literacy, and recently teamed up with KPMG to refurbish two libraries in the Houston area. Since its inception in 2008, KPMG’s Family for Literacy (KFFL) has distributed more than 4 million new books to underserved children in more than 100 communities across the United States. Each time a KPMG Brand Ambassador wins on Tour, KPMG makes a book donation and refurbishes a local library. Through heartwarming and personal testimonials, Voices is a series that tells stories of how KPMG people are making a difference in their communities. For more information, please contact Rebecca Rickert on KPMG's Corporate Communications team. Dean Bell is an elite marathon runner. “Being able to put my passion into doing something good in the community is the reason," he says. Three years ago, KPMG's Kevin Sheehan was diagnosed with stage 4 colon cancer. This is his story. Our Corporate Citizenship Report highlights how our people make a difference.